We stayed almost a week at Los Madriles, exploring the area on our bikes and enjoying the lovely heated pool at the camp site. What we first thought to be a heated sea water pool was, in fact, saline water taken from a geothermal source. The naturally occurring 30° water was pumped to the pool each morning and emptied after the pool closed every evening. We spent several days exploring Port Mazzarón, 3k along the coast. 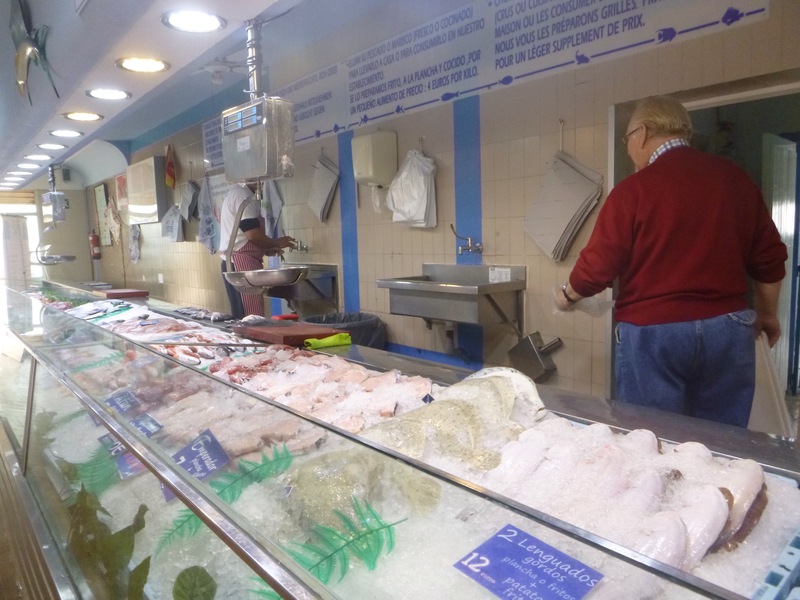 We also enjoyed the nearby town of Isla Plana which had several restaurants and an excellent supermarket. When we were feeling hungry we lunched at one of the many restaurants offering the menu del dia. This normally commenced with bread and alioli, then a starter, a main and, if you were still sitting upright, a desert. All this washed down with a bottle of wine followed by coffee all for an inclusive price of €9 a head. On a hungry day we could manage all the courses but often it had to be a beer, salad, main course and coffee – we were always aware that we had to cycle the 3k back to the camp site. 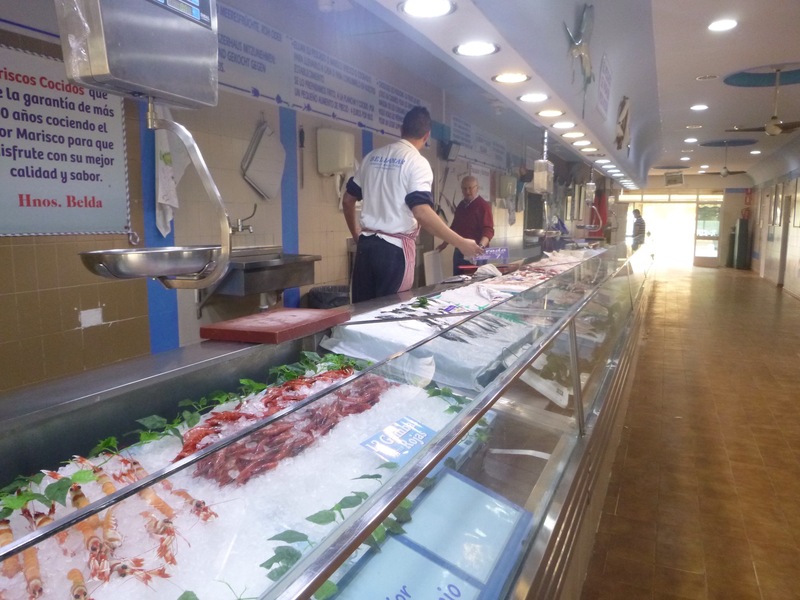 One weekend in Port Mazzarón we came across a fresh fish shop with restaurant attached (only open weekends and holidays). We had a beer and spent some time watching the fishmongers preparing the catch using huge meat cleavers even on the tiniest of fish. Tony chose a starter of anchovies and I had a plate of thinly sliced octopus seasoned with paprika and drizzled in olive oil – accompanied by fresh bread. Then we had grilled sardines that we had personally selected from the fish counter, bright silver with fresh eyes, cooked on the grill with oil, herbs and seasoning. The cost of this feast for the two of us was €15 plus our drinks. This entry was posted in Spain by Mopelia. Bookmark the permalink.